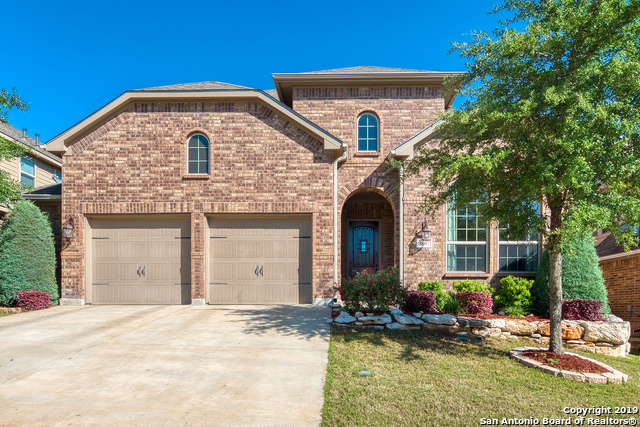 All VALENCIA HILLS ENCLAVE homes currently listed for sale in San Antonio as of 04/24/2019 are shown below. You can change the search criteria at any time by pressing the 'Change Search' button below. 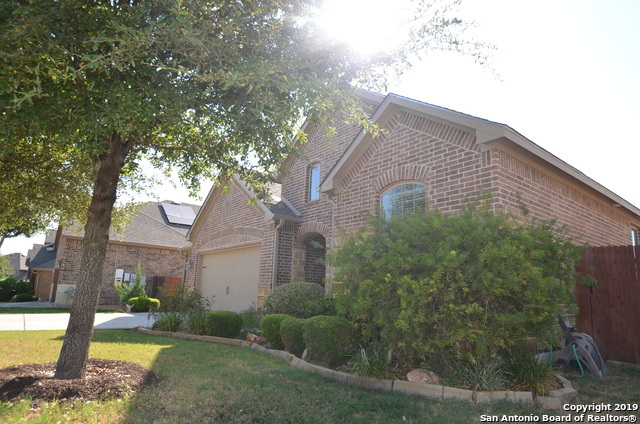 "Situated in a gated community in NEISD, this 2 year old home has it all. Cul de sac home, lovely floorplan of master bed/bath down along with secondary bed/walk in shower down. Study, gameroom with media room.Double ovens with large granite island, custom cabinetry, stainless steel appliances with 5 gas burners. Wood flooring. Reverse osmosis, water softener, irrigation, 3 car garage. Covered patio with gas stub and TV hook up. SOLAR PANELS recently installed. Immaculate home ready to move in." "Beautiful home designed with YOUR family in mind. Custom oversized kitchen island. Then enjoy your meal in the beautiful dining room perfect for your family celebrations. After dinner activities start with a movie in the media room, a game of pool or gaming in the large game room, or a quite afternoon of reading in the flex room or in one of the two studies (can be the 5th bedroom). Afternoon fun in the sun by the beautiful pool while you grill. YOUR FAMILY will love this home! Open house 3/2 "
"Immaculate home meticulously maintained with soaring ceilings, open concept. Study with French doors. Gas cooking, stainless appliances in large island kitchen open to main living area in center of home. Media room, upstairs game room, beautiful dining & family room + large covered patio & elevated wooden deck. Mstr suite with dual vanity bath sep. tub/shower, walk-in closet & 2ndary bedrooms & bath downstairs. 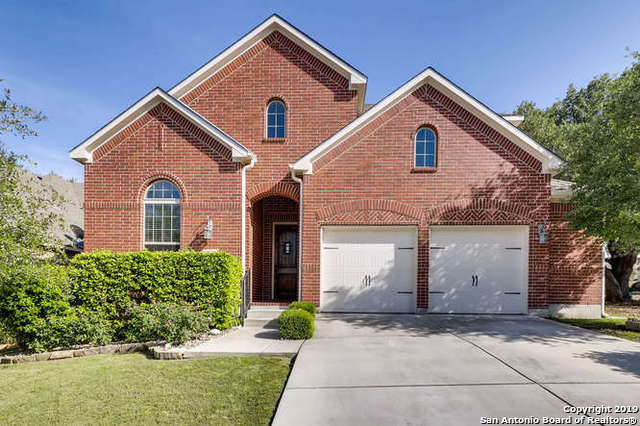 Incredible NEISD schools, location and price! See this home today!" "Executive Highland Home in Valencia Hills!! Gated community in the heart of SATX. Gorgeous Culdesac location. Study with closet is 4th bedroom. 2.5+ garage. Sep Dining, Rich oak cabinets, gourmet eat in kitchen opens to family room w/corner FP. Large kitchen island! Rich Chestnut wood floors at entry, study & dining areas. Plenty of storage space! Extended covered back patio to enjoy the beautiful views. Private gameroom w/ full bath & storage! Pro Landscape yard w/full spr sys. Easy access t"
"OFFERING $750.00 BUYERS AGENT BONUS. 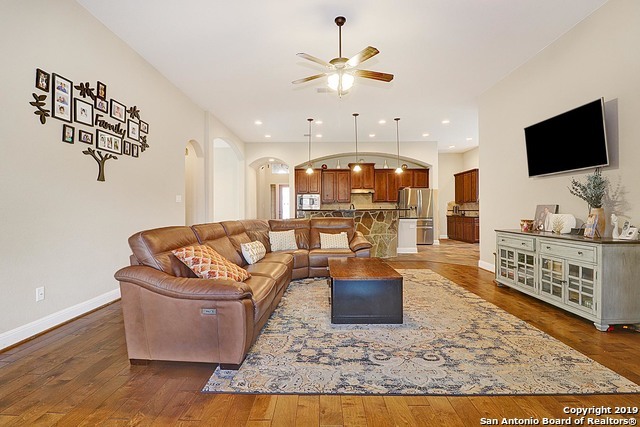 Embraced by wood flooring and 13' ceiling entry, this lovely four bedroom single story home is located in the controlled access community of Valencia Hills, minutes away from 1604. A mother in law or guest suite with bathroom is located at the front of the home for privacy. The openness of the home is wonderful for gatherings. Relax on the covered patio and mature trees. Naturally bright, the home appears larger than it seems with no wasted space." "Gorgeous two story home in Valencia Hills Enclave offers 4 bedrooms, a study/office, 3.5 bathrooms, a game room, media room & 2 car attached garage. Interior features: soaring ceilings, crown molding, hardwood flooring, separate formal dining room & large family room w/corner fireplace. Island kitchen has SS built-in appliances, staggered 42 cabinets w/crown molding, granite counters & breakfast room. Master suite w/full bath downstairs. Covered patio, flagstone extended patio & privacy fence in"